Using advanced diagnostic tools, we can examine trees closer and more thoroughly. We have an array of specialized tools that allow us to look inside trees and into their upper most leaves. Using a UAV, or “drone”, allows us unparalleled imagery of upper canopy tree disorders. Additionally, by flying in a pattern above a landscape, NDVI technology can quickly analyze discrepancies in the health of the landscapes vegetation. Technology in this field is fast evolving and we keep up. UAVs are changing the face of ecology and arboriculture. Safely climbing trees to access their canopy to take samples and conduct tests is a major benefit. With a background in commercial arboriculture, John Bornsworth has experience climbing when required. Advanced technology allows us the ability to incubate and cultivate (grow) fungi infecting a tree that we are unable to identify. Once this fungi is grown, we can have the organism multi sequenced to derive it’s species. This is not always successful but can be a remarkable tool. A resistograph is a drill that measures resistance as it drills and complies that data into a laptop. Resitographs enable us to conclude on wood decay inside of trees. In forestry and arboriculture, it is understood trees actually develop decay within themselves to better withstand the influence of wind and other external forces. 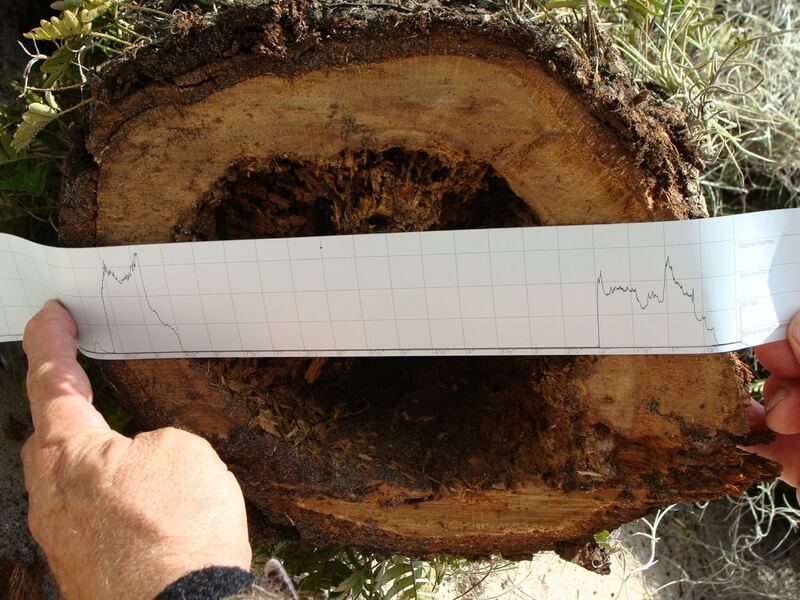 The ability to measure the actual extent of decay allows us to preserve more trees.